Like most exterior cladding products born out of natural materials, bricks — built from clay — have minds of their own. They naturally expand and contract, fluctuating in size with exposure to moisture and surrounding temperatures. 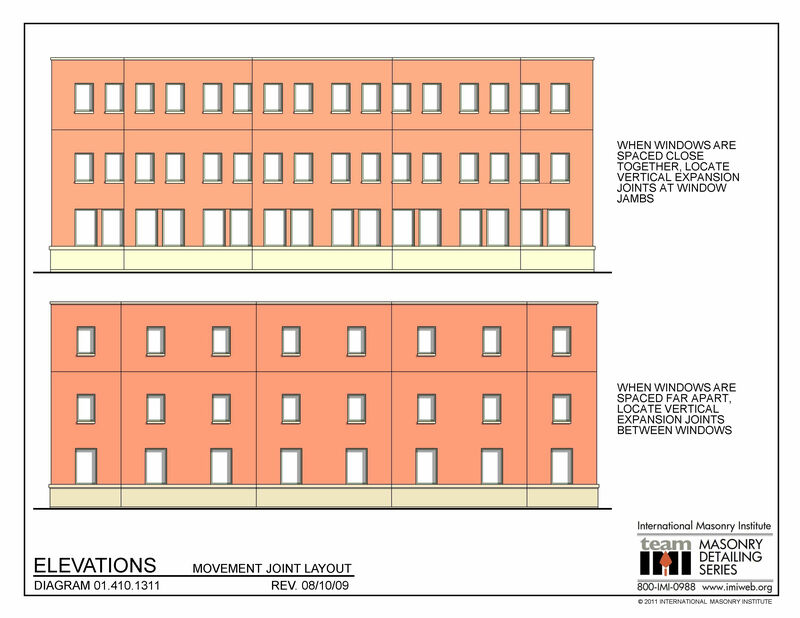 This presents a pivotal problem when detailing panelized brick systems and brick veneer façades. While some might argue that designing with panel brick is cheating — it’s both cheaper and, in most cases, quicker to install — it takes just as much thought and technical skill to lay out such a system as a costly brick-clad piece of architecture. One of the most frustrating moments for architects in detailing a panel brick façade is learning how to combat this constant movement. Because controlling the air moisture isn’t an option, it’s best to concentrate on selecting the best products to help panel brick systems maintain stability. Architects must input the right type of expansion joints and appropriately locate them on the façade. It helps to think of panel brick façades as masonry curtain walls. Once installed, they are rigid and can’t withstand the exterior elements by simply slapping on some mortar, so they must be stacked with enough spatial give to embrace natural movement. Expansion joints provide that give, safely absorbing the thermal expansion and contraction of any joined materials on the exterior envelope and effectively avoiding the distortion and damage of the overall system. Here’s why this matters to architects: While basic guidelines on joint size and spacing are given by both the National Concrete Masonry Association and the Brick Industry Association, it’s up to the architect to decide the particular placement of each joint. Architects can predict the estimated total moisture expansion of brick veneer before detailing the joints if so technically inclined. Per the Building Code Requirements for Masonry Structures, simply multiply the coefficient of linear moisture expansion by the length of the wall, or 5 x 10⁻⁴ in./in. Experts recommend that the joints are inserted at the points of natural stress concentration where cracks may develop in the bricks. They should also be set a few shelf angles below to additionally account for the vertical expansion of the brick in cases where the panel frames are divided vertically. Horizontal expansion joints should be ¾ inch or more in width if they include both the thickness of the shelf angle and the thickness of the soft joint underneath. Some architects prefer to specify special lipped units that fit over the end and reduce the joint width, making for overall easier installation. It’s important to keep in mind that the smaller the panels are specified, the easier it is to lessen the movement and prevent cracking. When long expanses of panels are specified, architects must pay attention to how they sit along wall intersections, corners, offsets, setbacks and parapets. Architectural drawings should always show the exact location of control joints and expansion joints on the building’s various elevations. While absolutely necessary to panelized projects, expansion joints do get a bad rap for diminishing the aesthetic impact of a façade. That doesn’t always have to be the case. One way to seamlessly hide the panel transition is to change the bond pattern or color unit above the shelf angle, creating a bold horizontal band as a decorative element. For vertical expansion joints, placing reinforcements in bed joints above and below windows will allow you to disguise the joints at the ends of the window grouping. Designing an offset in the wall can also make them less noticeable. You can also choose a different sealant color that is visually similar to the unit or mortar or slightly darker. Many manufacturers offer simple panel brick systems that are ready for easy installation at the tail end of construction. While these specialists can provide solid advice and details on the development of their products, it’s still imperative that architects know precisely how to design for movement within their chosen panel systems. Failure to properly detail the spacing could result in some unfortunate front-facing façade designs.